On the hunt for Nebraska’s best steakhouses? Whether you are looking for a perfect steak from an old-time favorite spot or want to check out the up-and-coming new restaurants, we have got you covered. 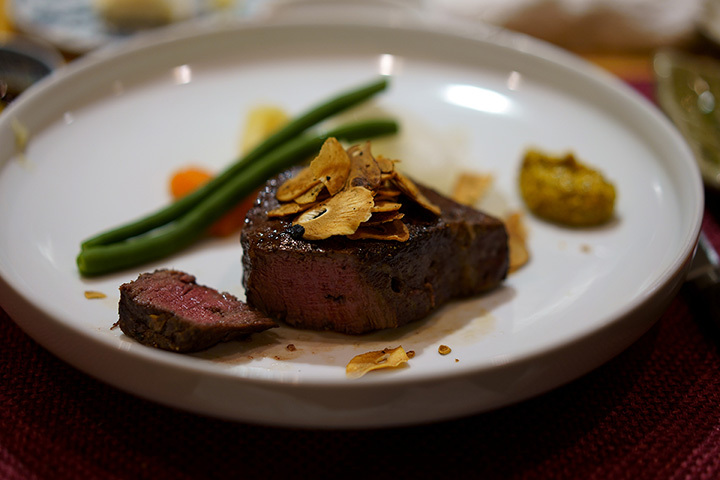 Nebraska’s best steakhouses serve top-quality meats cooked with incredible attention to detail. Steak has been a part of Nebraska’ culinary heritage for as long as we can remember, and it will always remain a favorite. Check out the 11 best steakhouses in Nebraska. Mahogany Prime Steakhouse has every detail of the ultimate steak experience perfected. Outstanding service and a sizzling hot steak served on a heated plate await to take you to steak heaven! The casual, laid-back atmosphere of Round the Bend makes it one of the coolest steakhouses in the state. Not only that, but this Ashland spot is serving up some of the juiciest cuts of beef around. Try everything from their tender T-Bone steak to their top sirloin (“aged to perfection and char-grilled the way you want it”). The Single Barrel is a rustic restaurant that offers wonderfully cooked steaks seasoned to perfection. Hang around after dinner and catch some of their great live music and delicious drinks. The Drover is one of Omaha’s classic steakhouses and the private old-school ambiance will bring up feelings of American nostalgia. Make sure to try one of their well-known whiskey-marinated steaks for something truly special. Spencer’s for Steaks & Chops will make sure you are well taken care of as they serve up one of the richest steaks in all of Nebraska. Their steaks are delectable and delicious pieces of meat that will send your taste buds into euphoria. For arguably the best prime rib you will ever have, you must visit Plainsman Steakhouse. You can’t miss their rustic sign out front. Try their delicious sirloin, too, served in small or large. The Flatiron Cafe can be found in Omaha’s historic Old Market downtown. This iconic fine dining restaurant serves up perfect steaks in a classy but comfortable space. After dinner take a stroll around the beautiful and vibrant neighborhood. Brother Sebastian’s offers the old-world feeling of an early California monastery with “monks” that pamper you in a relaxed, romantic atmosphere. Here you will find some of the most mouthwatering and satisfying steaks served to you sizzling hot. A classic for over 70 years, Gorat’s has been serving up tender steaks seared to perfection. Warren Buffet, otherwise known as the Wizard of Wall Street, frequently stops into this Omaha joint, as well as a wealth of other celebrities from across the globe. Misty’s is a well-known classic that brings together great atmosphere and delicious steaks that have given it the reputation as the go-to steakhouse in Lincoln. Their steaks are seasoned with their own special blend and delightfully grilled to juicy perfection. Family owned and operated since 1964, this Waterloo spot is a can’t-miss. Sink your teeth into their large filet (bacon wrapped for just 25 cents more!) or take a bite out of their delicious, 14-ounce New York strip.